Though most products are no longer produced with lead, the threat of exposure in the workplace can still arise. Ceramics, caulk and paint were a few things that used to be composed of lead. Old products made with these materials can still cause harm on us today. 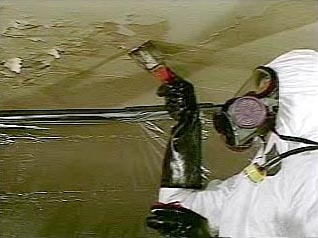 Lead exposure can result in two ways; inhalation and ingestion. Inhalation results from breathing in lead dust or fumes. 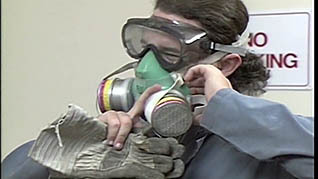 Ingestion happens when lead dust comes through the nose or mouth and is swallowed. The CDC gives health and safety tips here, not only for the workplace but as well as for your home. There are two forms of overexposure. Chronic overexposure happens as small amounts of lead are absorbed into the body and accumulate over time, where as acute overexposure is a large amount absorbed in a short amount of time. Both forms can cause deadly harm. Mastery’s training course, Lead Safety, discusses these types of exposures and overexposure, as well as symptoms present in both cases. The key in keeping you and your employees safe from lead exposure is being educated on all of these aspects. Most importantly, seek medical attention if you suspect any lead exposure symptoms. Find out more about lead safety and health effects from OSHA. This entry was posted in Hazardous Materials, OSHA, Workplace Health and Safety, Workplace Training and tagged lead safety, lead safety training, OSHA, Safety Training. Bookmark the permalink.